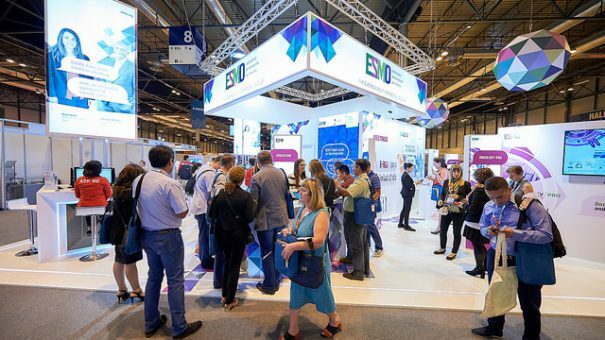 Europe’s biggest cancer congress ESMO wraps up today, having delivering its fair share of major studies and talking points in cancer treatment over five days. The big players in immunotherapy gained the lion’s share of attention, with Merck & Co’s Keytruda maintaining its lead in the field, but there was also still room for other agents to make in-roads. But perhaps most notable were the restored fortunes of Bristol-Myers Squibb and AstraZeneca: both have suffered major setbacks to their immunotherapy drugs in recent months, but have bounced back with data better and earlier than expected. First up though was Keytruda, where its combination with chemotherapy in non-small cell lung cancer (NSCLC) was the first big study to make waves. While this helps Merck & Co. maintain a clear lead in the all-important NSCLC, BMS’ Opdivo and AstraZeneca’s Imfinzi also recorded their own successes. AstraZeneca had been badly hit by Imfinzi’s failure in the MYSTIC trial, but bounced back at ESMO with the PACIFIC study. An example of a shift across all tumour types to trying immunotherapy in earlier stages of cancer, PACIFIC looked at Imfinzi as a monotherapy in patients with locally advanced, unresectable stage III NSCLC. Interim data showed the drug nearly halved the risk of disease progression in these patients, opening up a whole new treatment paradigm for patients who currently have to wait for their disease to progress before receiving treatment. AstraZeneca is planning to file the data in the near future, and will be well ahead of its nearest rival in this indication, BMS, helping it to stand out in the crowded PD-1/PD-L1 market. Both Opdivo and Novartis’ Tefinlar plus Mekinist achieved major progress in adjuvant treatment of melanoma, showing again that shift towards earlier and sometimes overlooked treatment settings. Meanwhile small US biotech Clovis Oncology scored a major hit in recurrent ovarian cancer with its drug Rubraca. The drug outshone rival PARP inhibitors, AstraZeneca’s Lynparza and Tesaro’s Zejula, recording the best PFS data seen so far in the class, adding a new dynamic to the three-way battle. Lilly’s Cyramza (ramucirumab) showed it could improve PFS dramatically when combined with plus docetaxel in patients with advanced or metastatic urothelial cancer who have progressed on platinum-based chemotherapy. Checkpoint inhibitors are only effective in around 25% of patients with platinum-refractory advanced or metastatic urothelial cancer, and there are few options for those who progress or are ineligible. Lilly also had data in breast cancer, with its MONARCH 3 trial. This showed improved outcomes for postmenopausal women with hormone receptor positive, HER2 negative advanced breast cancer from its CDK 4/6 contender abemaciclib. Overall response rate measured 59.2% for the abemaciclib arm—compared with 44% in the placebo arm, putting it on an equal footing with its rivals, Pfizer’s Ibrance and Novartis’ Kisqali. However its safety profile – namely the high rate of diarrhoea and neutropenia – could make it less attractive to doctors and patients than its competitors. In the same field, Roche’s taselisib showed benefit in postmenopausal women with hormone receptor–positive (HR+)/human epidermal growth factor receptor 2–negative (HER2–) early-stage breast cancer. 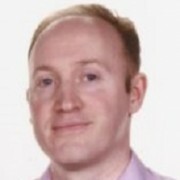 The LORELEI study was the first randomised trial to show benefits for a drug in the PI3K selective inhibitor class, as Novartis’ buparlisib failed in this population of patients. This was good news for Roche, who had disappointment elsewhere when Zelboraf failed to show long-term benefit in melanoma. Adding the new drug to standard treatment letrozole significantly improved response rates compared with letrozole alone in all patients, but the improvement was more robust for patients with breast cancer who had PI3KCA mutations. Finally BMS’ success wasn’t restricted to melanoma, as it also scored a major hit in kidney cancer. The CheckMate 214 trial showed the combination of Opdivo and Yervoy cut risk of death by 37% compared to current standard treatment Sutent. This opens up the way for the combination to become a new standard of care once it gains approval. The CheckMate 214 story was particularly notable because earlier data had been mixed. The combination had hit its primary goal on response rates, but hadn’t significantly outperform Sutent. Just a few months later, the drug was able to demonstrate an overall survival benefit. This is a major victory for BMS, especially after its setback with Opdivo in NSCLC. Moreover, it also offers hope for other drug regimens that fall short on progression free survival measures in early trial results, once again underlining the unpredictability of the immunotherapy field.